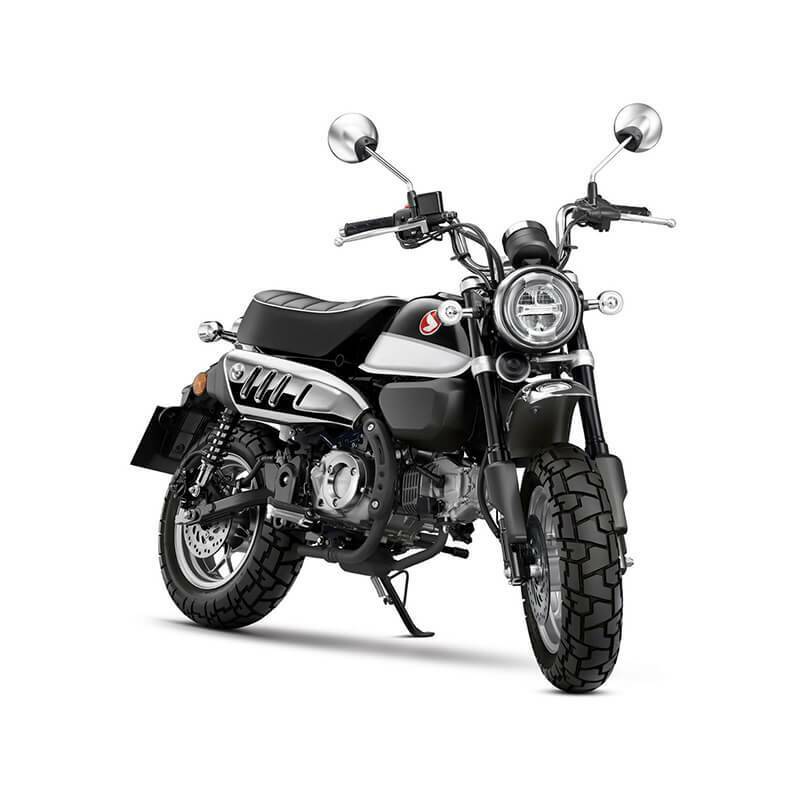 Honda's genuinely iconic mini-bike is re-imagined for the present day, with styling that draws heavily on the original, complemented by modern, premium touches such as USD forks, twin rear shocks, LCD instruments, IMU-based ABS and full LED lighting. Wet weight is a mere 107kg. The Monkey was so much fun and so easy to ride, it did more to sell the concept of motorcycles to a wider public than perhaps any other machine. With its chunky tyres, mini-'ape' style handlebars, miniscule fuel tank and big, squashy seat the Monkey look is unmistakably of its time, but - just like the affection in which it is held - also timeless. 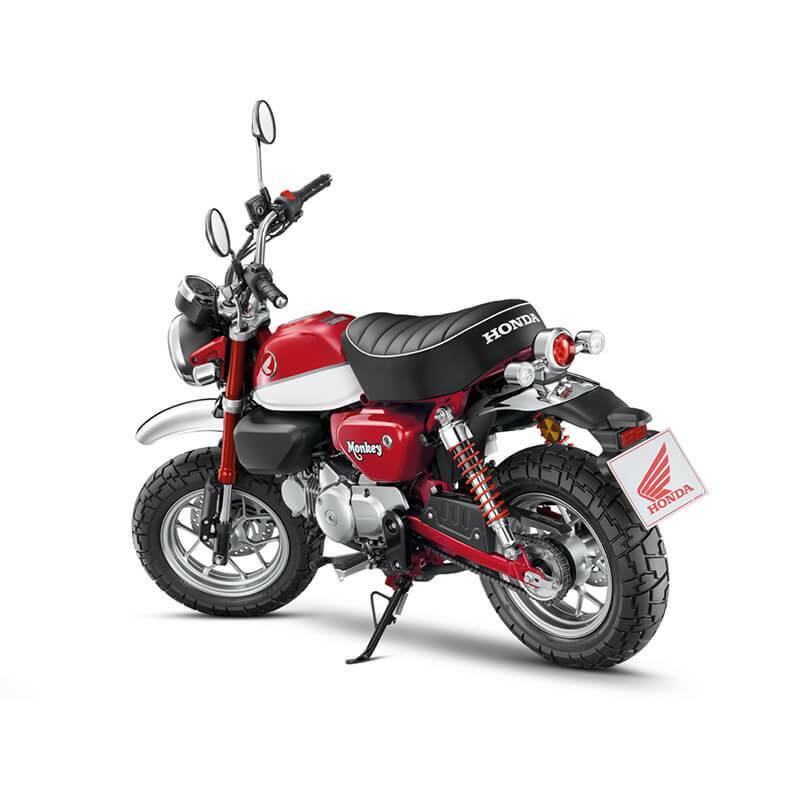 After the modern-day success of the sharp-suited MSX125, which proved the desire for a funky, pocket-sized town run-around, it was time for the Monkey name to return, reborn and ready for life in the 21st century city. 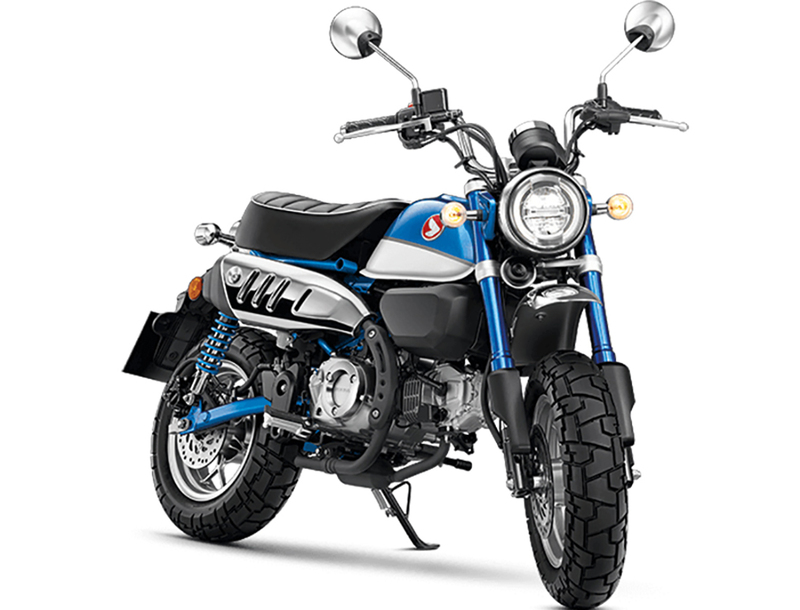 The new Monkey’s power unit is true to its origins, the horizontal SOHC 125cc single-cylinder engine is simple, robust and tuned to d4liver useful about-town performance. Air-cooled, with bore and stroke of 52.4 x 57.9mm and compression ratio of 9.3:1, fed by PGM-FI, it produces 6.9kW @ 7,000rpm and 11Nm @ 5,250rpm. The gearbox is 4-speed. Modern technology meets the reincarnation of the classic Monkey look with a digital full-LCD circular meter, which features a speedometer (which winks playfully when the ignition is turned on), an odometer with two trip meters and six-segment fuel level indicator. All lighting is LED and the ‘wave‘ pattern key (which also wears the Old Wing motif) features an ‘answer back‘ system that makes the lights flash at the push of a button to allow easy location in crowded car parks. The single channel ABS system operates with an IMU to mitigate rear ‘lift‘ under strong braking. Ideal for learner riders, the MONKEY is LAMS approved (learner approved).